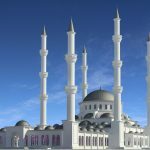 A survey study was initiated to determine the material to be used for plating the domes and minarets of Dr. Suat Günsel Mosque of which foundations were laid in 2013 and scheduled to be completed on November 15, 2020. 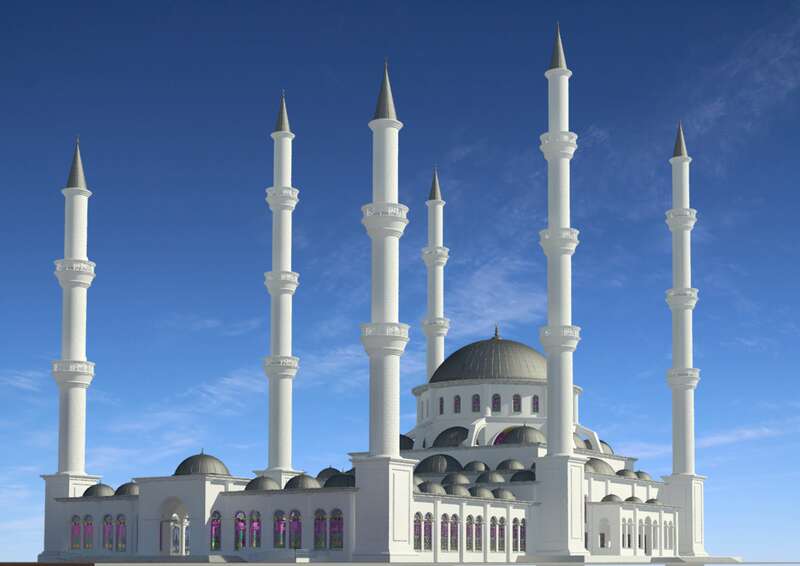 The Directorate of Press and Public Relations Office of Near East University released that an online survey had been organized to get the general opinion of Turkish Cypriot community and determine the coating material to be used for the 62 domes and 6 minarets of Dr. Suat Günsel Mosque, which was entirely designed by Near East University’s architects and engineers by integrating the Ottoman architecture with the philosophy of Near East University. 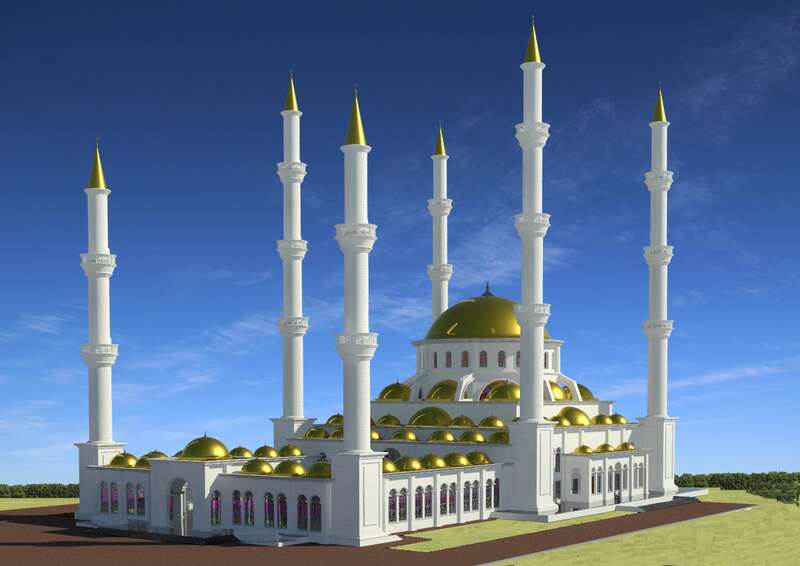 In the press release, it was stated that the outer surface of the mosque would be covered with white stone unique to our country and all glass surfaces would be decorated with stained glass patterns. It was stated that a survey study was initiated to determine the materials to be used to coat the minarets and domes of the mosque. The survey, which will be conducted via online system, comprises questions regarding Dr. Suat Günsel Mosque which is currently under construction on the Near East University Campus. “What material do you want to be used for plating the 6 minarets and 62 domes of the mosque” is one of the questions to be asked to the participants. The material to be used for plating the domes and minarets will be determined in the line with the general opinion of the Turkish Cypriot community that participated in the survey. Inspired by the Ottoman architecture and designed by Near East University’s architectures and engineers with Near East philosophy, Dr. Suat Günsel Mosque will the largest capacity worship center of Cyprus where 10,000 people can worship at the same time. 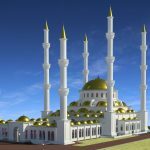 The central dome of the mosque will be 36.80 meters high from the ground level with a diameter of 23.80 meters. The central dome will be surrounded by 61 smaller domes. 27 domes and 9 half-domes will be constructed off-center over the payer hall and the inner courtyard will be lined with 26 domes. 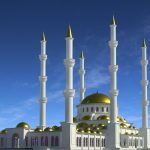 The mosque will have six minarets in total; four minarets, each with 76.20 meter height and three minaret-balconies, and two minarets, each with 56.45 meters height and two minaret-balconies. 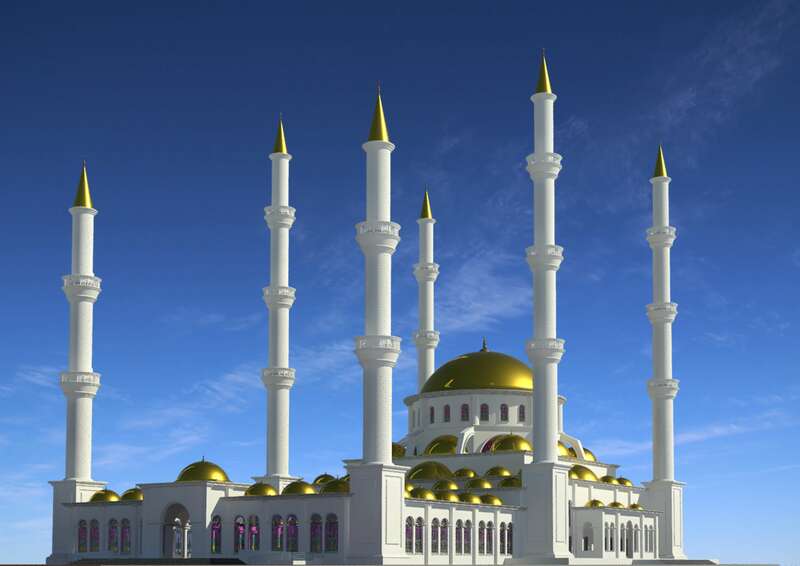 Citizens, who want to contribute to the survey by indicating their opinions regarding the materials to be used for plating the 62 domes and 6 minarets of Dr. Suat Günel Mosque, can participate in the survey that is available on the web page of Near East University (https://neu.edu.tr).